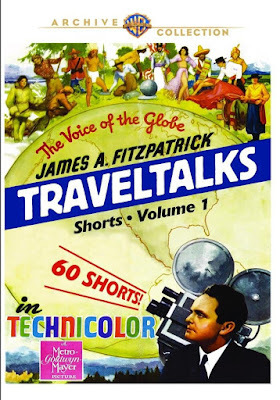 I discovered James Fitzpatrick’s Travel Talks on TCM where they played as filler between films. I loved them all a great deal since they showed the normally black and white world of the 30’s, 40’s and 50’s to be alive with color. 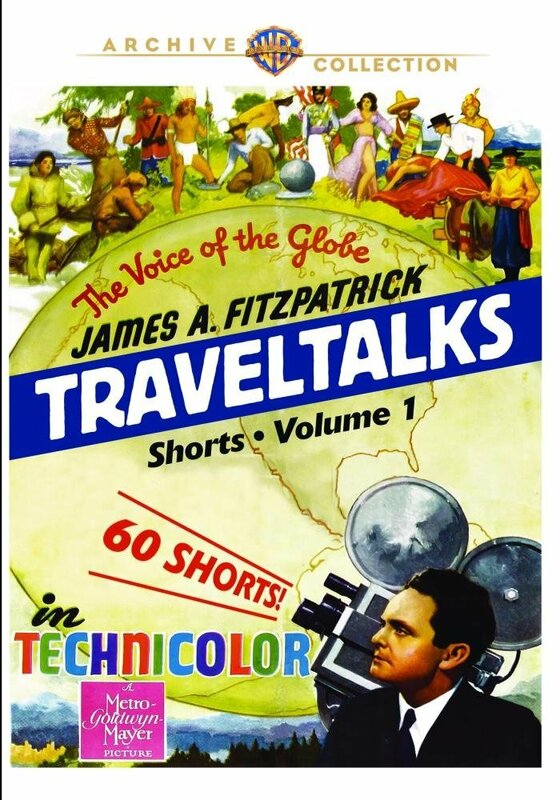 The Travel Talks were independently produced by Fitzpatrick. They were released in one form or another over a period of twenty years with the last being done for Paramount in their Vista Vision process. Almost 300 shorts were produced and now the Warner Archive has released 3 sets with 60 films on each of them. I don’t know where to begin or what to say other than this set is really cool. Watching the films is very much the cliché of taking a trip into another place and time. Fitzpatrick's films transport us in a way that many other similar films never do. We see places that you don't really see in other films of the period. For example his films made after World War 2 show the towns and cities in ways that other films don't- they are damaged places that are alive. There is no stentorian narration to talk about loss or the cost of the war-it's simply this is how things are- alive and vibrant. I think the reason that Fitzpatrick’s films work as well as they do is they never feel staged. Where most other travelogues of the period feel like they were always focused on some event the Travel Talks are about local color and life as it is. The films feel as if the film crew just showed up and started filming and then then things happened or didn’t. Sometimes we’re just left with the beauty of the land. You never know what you are going to get and that makes the films all the more special. I love these films a great deal. When I got the discs I put the first disc on to see what they looked like and found myself three hours later contemplating starting the second disc. Yea these sets are those kind of time losers. These are sets where you say you're going to nibble and find you've had a meal. I love these films because they blend together to be something special. For however long I watch I drift away and the world becomes something far away. Its a vacation in one's living room.